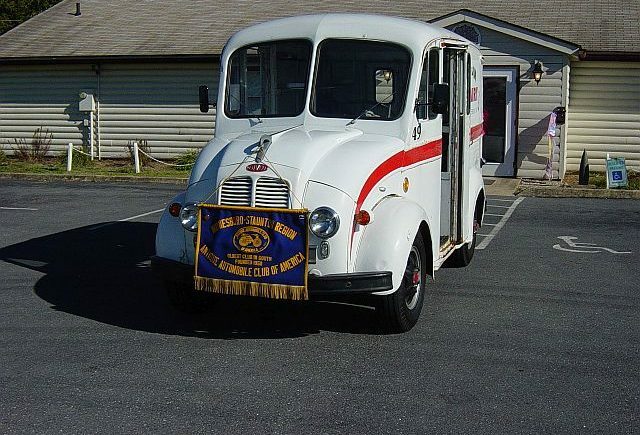 In the fall of 1949 the Antique Automobile Club of America brought its Glidden Tour to Virginia. The write-ups in the newspapers kindled the interest of John A. 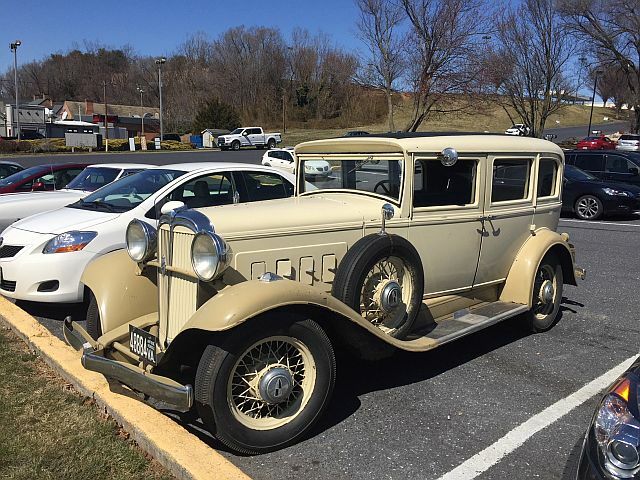 Brown who drove to Luray to see the cars arrive at the Mimslyn Hotel. It was here that he met William Swigart, Leslie Henry, and M. J. Duryea. Mr. Brown applied for membership in the national organization at this time. In late December of 1949, Mr. Brown recruited new members by personal calls and letters throughout the state. By April 14, other enthusiasts had registered so that a new region could be formed. The first organizational meeting was held at a dinner meeting in the small dining room at the General Wayne Hotel in Waynesboro, Virginia, on April 18, 1950. Among those present were a number of men who later became Charter Members. An election was held and the following officers were chosen: Regional Director–John Brown; Assistant Regional Director–Ralph Lutz; Secretary-Treasurer–Frank S. Harrison; and Corresponding Secretary–William Sandy. The other Charter Members were Jeff Diffee, Ki Williams, Michael Williams, Raymond Driver, Carl Fulwider, Claude Baugher, Raymond Gaw, W. A. C. Pettit, Jr., W. A. C. Pettit, III, Judson Phillips, and Hyde Kerr. 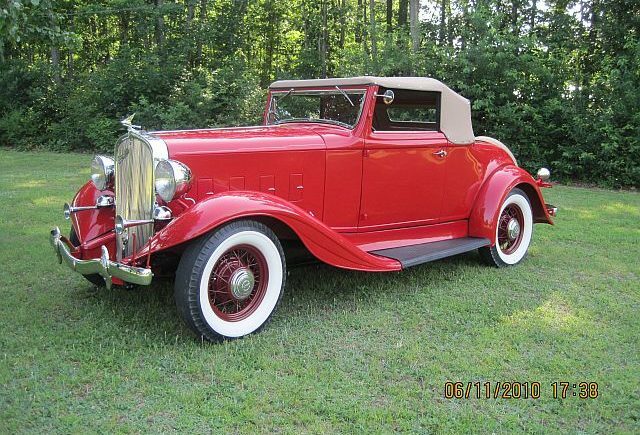 During the summer months of 1950, the new region grew in size and was at that time the only Antique Automobile Club in Virginia and in the entire South. In July 1950, the club entertained Membership Chairman Leslie R. Henry and Judge George Carson. Leslie Henry showed the members a number of colored slides of antique cars and gave suggestions for restoration work. Sherando Lake was the location of the first outing held by the Waynesboro-Staunton Region. 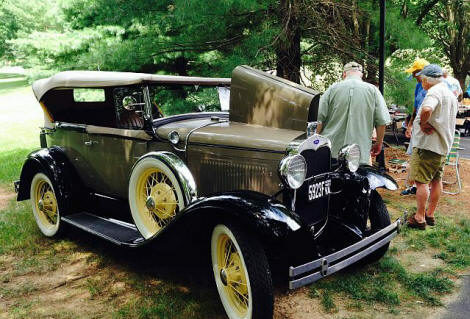 After a few breakdowns along the way, the members’ automobiles arrived at the lake and several contests were held with a picnic completing the activities. 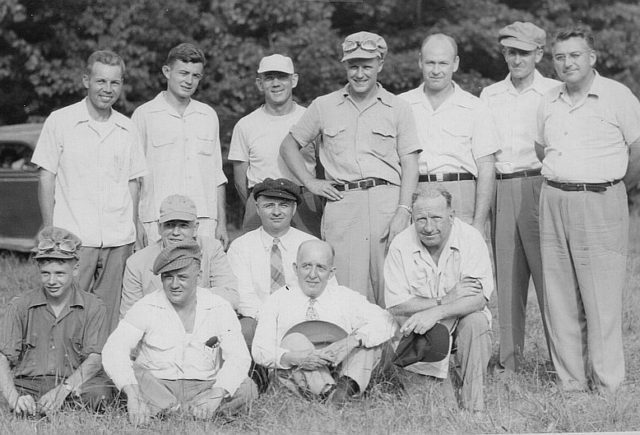 In the fall of 1951, the national club held its Glidden Tour in Pennsylvania. Club members John Brown and Hyde Kerr drove to Pittsburgh for the kick-off banquet held at the Webster Hall Hotel. At this dinner, Miles Amich of the Allegheny Mountain Region and John Brown discussed the possibility of holding an inter-regional meet the next spring. The plans for such a meet took shape, and in May 1952 the Tri-Region Meet was held at the airport race track in Winchester, Virginia. The three regions represented were: Alleghany Mountain, National Capitol, and Waynesboro-Staunton. During the summer of 1952 our club had a number of outings to such locations as the Staunton Fairgrounds, Grand Caverns, and Coyner Springs. At the Coyner Springs meet, Hamilton Crockford, special feature writer for the Richmond Times Dispatch, covered the activities and published an article with photographs in the paper a week later. This article helped create interest in Richmond, and in 1953 the newly formed Richmond Region was invited to join the Tri-Region meet planning group. The Allegheny Mountain Region withdrew from the organization, and the Richmond group offered to be host for the Tri-Region Meet in May as had been previously held in 1952. It was at this meeting in Richmond that the name “Old Dominion Meet” was suggested by club presidents Dave Garriques and John Brown. This name was adopted as the official name of the meet, and all future meetings held in rotation by existing clubs or newly formed regions within the state were to carry this name. The second Old Dominion Meet was held in Waynesboro in May 1954 with about 80 cars registered. At the time of our club’s founding, there were three regions in the national organization with a national membership of 1,400. At present (about 1960), there are 205 regions and 36,000 members throughout the nation. Piedmont Region. In addition to fathering the above four regions, the Waynesboro-Staunton Region also sponsored two additional clubs in the 1960s. 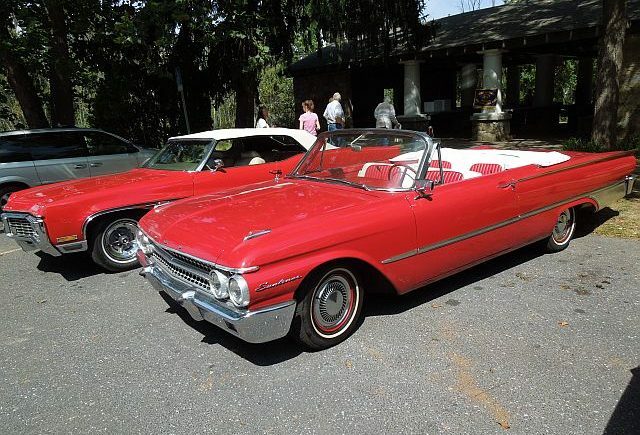 In 1962, the Region fathered the Charlottesville-Albemarle Chapter of the Waynesboro-Staunton Region, AACA. 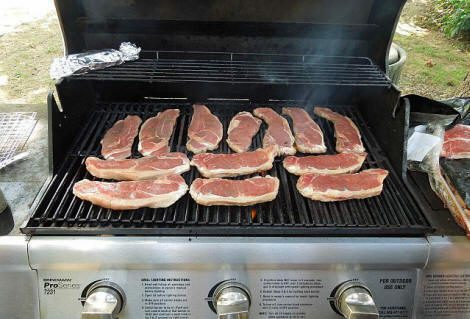 The chapter was founded by Waller Hunt, Taylor Gimbert, Taylor Gimbert Jr., Thomas Keith, and Mac Woodward. It later became the Piedmont Region AACA. Tri-County Region. 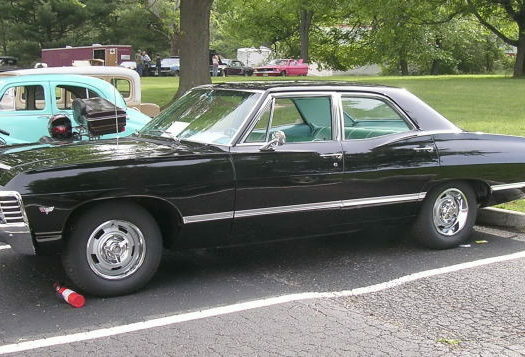 In 1966, the Region fathered the Tri-County Antique Car Club which was organized by Connie Dove, a Broadway, Virginia, resident who was also a member of the Region. He felt that there were enough car enthusiasts in northern Rockingham, Shenandoah, and Hardy Counties to begin a new club. In 1977, the Tri-County Club voted to seek membership as an AACA Region and was chartered in 1978. Incorporation. In 1967, the Waynesboro-Staunton Region was incorporated, and Region Member Willis Clemmer was selected corporate agent. Bridgewater Antique Meet. From 1962 to 1997, the Region hosted in cooperation with the Bridgewater Fire Department the Annual Bridgewater Firemen’s Auto – Steam – Gas Meet and Parade in July. For many years, there were over 200 cars registered many of which were pre-1915 cars, and the temperature was over 100! 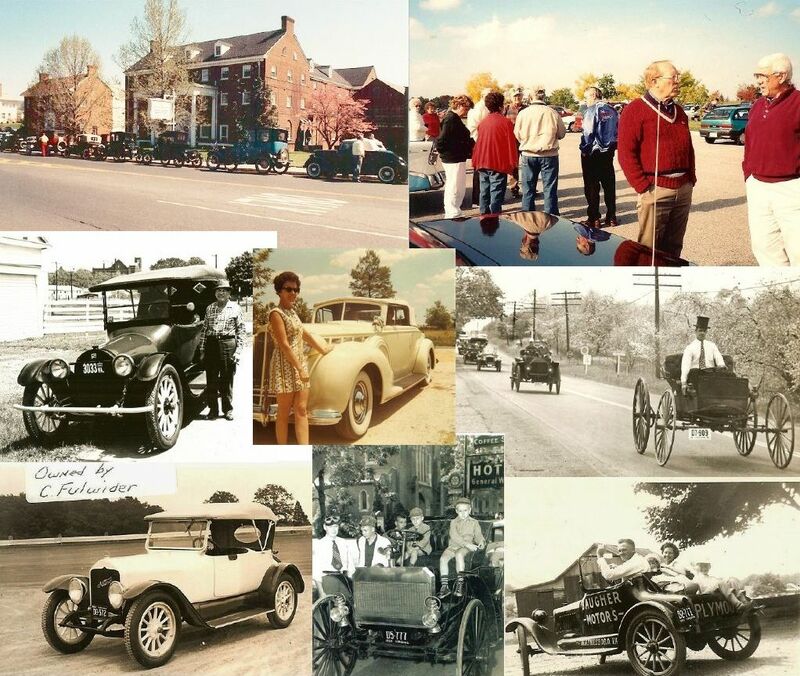 Other events that the Region hosted during the 1970s and 1980s were the Fall Foliage Festival Antique Car Shows in Waynesboro and the Nichols Memorial Day Meets in Harrisonburg which began in 1973. On a cool rainy day in May 1974, 72 cars and trucks and 2 fire trucks registered for the Nichols Meet. Strawberry Festival. During June in the 1970s, many Region members drove their antique cars to the Strawberry Festival, sponsored by the West Virginia Region AACA in Buckhannon. Members spent Friday and Saturday nights in Jenkins Hall, a dorm at West Virginia Wesleyan College, and ate meals in the dining room. This was a very popular club activity. In 1974, 56 club members, family, and friends enjoyed the strawberry shortcake, parade through downtown, fashion show, banquet, and other activities. Founders’ Day Award. In April 1987, John A. Brown instituted the Annual Founders’ Day award by giving the Region a large silver bowl to be presented to a deserving member each April and a by giving the Region a monetary donation. His intent was for the bowl to remain in the custody of the recipient for one year or until a successor was found; then the bowl would be presented to another. The recipients’ names and years of award have been engraved on the bowl. A smaller replica is then permanently presented to the previous winner. The president appoints a Selection Committee (usually in February) consisting of three Region members to determine the recipient each year. Normally, the last recipient chairs this committee, and the other members of the committee are past recipients. Only the president (and the committee) knows the members of the committee. 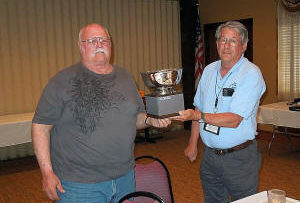 The committee then makes its decision and, if a winner is selected, gets the large silver bowl engraved and brings it to the April (Founders’ Day) meeting. No one except the committee knows the recipient until the moment of presentation. Although the award has been presented each year, it is not mandatory that an award be presented annually. The Region president obtains the replica to be presented to the previous winner. Glidden Tour. In 1999, the Region hosted its first national tour, the 54th Revival of the Glidden Tour, from September 19-24 in the Shenandoah Valley of Virginia. With 383 cars and over 850 people registered, it was one of the largest Glidden Tours ever. Earl Beauchamp, a AACA national officer, was tour director; John Stone, a member of the local Region, was tour chairman; Willis Clemmer was assistant tour chairman; and Doris Stone was registrar. Members of the Tri-County and Piedmont Regions AACA and the Skyline Chapter MAFCA assisted with this very successful tour. 50th Anniversary. In April 2000, John Stone chaired the Region’s 50th Anniversary Celebration & Founders’ Day with a banquet at the Holiday Inn, Staunton. AACA National President John Myers was the guest speaker; and Region Members James and Isobel Ailles provided the entertainment. About 75 members and guests attended including charter members Bill Pettit, Claude and Sue Baugher, Carl Fulwider, and Mildred Diffee. Old Dominion Meet Association. Since its founding by John Brown, Jeff Diffee, and others in 1953, the Region has continued its membership in the ODMA. It has hosted The Old Dominion Meet (ODM) many times and has won the Old Dominion Trophy several times. Throughout the years, many club members have displayed their cars at the ODM, won numerous awards, and served as judges. The Region hosted the 51st ODM on May 21 and 22, 2004, at the Frontier Culture Museum, Staunton, Virginia; there were about 200 vehicles registered. Willis Clemmer was meet chairman; Robbie Gray, registrar; and Nelson Driver, chief judge. In 2006 the Region won the Walter and Edgar Rohr trophy at the ODM. Website. In March 2004, the Region’s first website was designed by Doris Stone. In January of 2010, Bob Ridle took over the website, becoming only the second Webmaster in the Region’s history. In January of 2016, Scott Gregory became the Region’s first Assistant Webmaster. 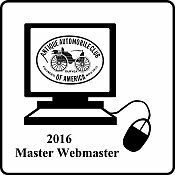 In February of 2016, Bob and Scott began construction of a new website, http://waynesboro-stauntonregion.aaca.com/, which became the new website home of the W-S Region in May of 2016, at which time Bob handed the reins to Scott to become the Region’s third Webmaster. It contains the current year’s activities, names and contact information of the Executive Board, history of the Region, photographs, a local membership application, and more. Also on the website are 86 articles entitled “Down the Road A Piece” written by John Brown from the late 1970s until 1991. These stories dealt mostly with his early fascination with cars while growing up in Pennsylvania. Like the Region’s newsletter, the website has also received a number of national awards, including the AACA’s Master Webmaster Award in 2014, 2015, 2016, 2017 and the Spark Plug Award for best web site in 2016. Membership. In 2014, the Waynesboro-Staunton Region had approximately 108 members. Internationally there were over 400 regions and chapters and approximately 60,000 members in all 50 states and over 50 countries. 65th Anniversary. In April 2015, the Region celebrated its 65th Anniversary & Founders’ Day with a catered banquet at Jim Rimel’s Barn in Staunton. AACA National President Don Barlup was the guest speaker and presented the region with an official AACA Certificate recognizing the 65 year milestone. The Boogie Kings provided the entertainment. Members Betty Clemmer and Paul & Shirley Wampler were recognized as having the longest membership tenure in the W-S Region. May 19 – Sunday at 2:00 PM, Monthly Meeting at The Capital Ale House in Harrisonburg. For complete details click on the Activities tab! Copyright © 2004-2019 • Waynesboro-Staunton Region AACA/All Rights Reserved.